Legend has it that rodeo was born on July 4, 1869, when two groups of cowboys from neighboring ranches met in Deer Trail, Colo., to settle an argument over who was the best at performing everyday ranching tasks. That competition is considered to be the first rodeo which evolved into rodeo as we know it today. Today’s professional rodeo cowboy is a bit different from his 1800’s predecessor, but the ideals, showmanship and hard work are still valued by today’s competitors. A cowboy’s standing in the rodeo community is still dependent on his skill with a rope or his ability to ride a bucking animal. The cowboy code still dictates that a cowboy ought to help his fellow competitors, even though they might be competing for the same paycheck. While some things have changed since the last century, most of the changes have been for the better. Now the cowboy travels much of the time in custom made rigs or flies from one rodeo to another either by commercial airline or charter plane. Even if a PRCA member doesn’t have the inclination to spend more than 200 days a year on the road in search of a berth in the Wrangler National Finals Rodeo – the sport’s championship – he can participate in one of many rodeos close to home each year. Over 600 are held throughout the country year-round, from small town venues to arenas in Las Vegas. 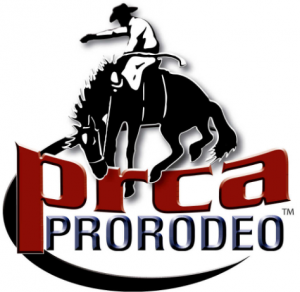 The PRCA staff consists of about 70 full time employees, but grows to nearly 100 during the peak rodeo season. The PRCA headquarters, established in 1979 in Colorado Springs also houses the Pro Rodeo Hall of Fame and Museum of the American Cowboy.